I am an Accredited and Registered Member of the BACP, specialising in Integrative Counselling and Psychotherapy. My clients are adults and University students experiencing a range of problems including anxiety, depression, relationship problems, self-harming and suicidal ideation, grief, bereavement, self-harm, trauma, stress and other distressing emotional problems. 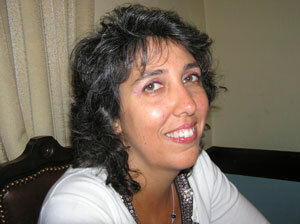 I offer confidential Face to Face Counselling and Psychotherapy, Telephone Counselling, and Online Counselling. My clinic is in London, Richmond-upon-Thames. I believe that each person is valuable and deserving of respect and love. Sadly we may feel otherwise and doubt ourselves, filling our minds with negative thoughts from the past and concerns about the future. In our work together we will find out how to live in the present moment, and thus shape your future, enabling you to manage your feelings and your issues. Please contact me to book a session in Richmond, to book telephone counselling or online sessions via Skype. My clients often relate how therapy has helped them to build the necessary mechanisms to cope better and effectively with their negative feelings. Just talking confidentially with a professional can make all the difference. You will have the opportunity to explore your feelings while feeling safe and accepted. I offer both short and long term therapy to clients from different cultural backgrounds. I speak both English and Portuguese and provide therapy in both those languages.